The Mekong Delta province of Ca Mau is exerting efforts to fulfil a target of US$1.2 billion in export turnover in 2018. 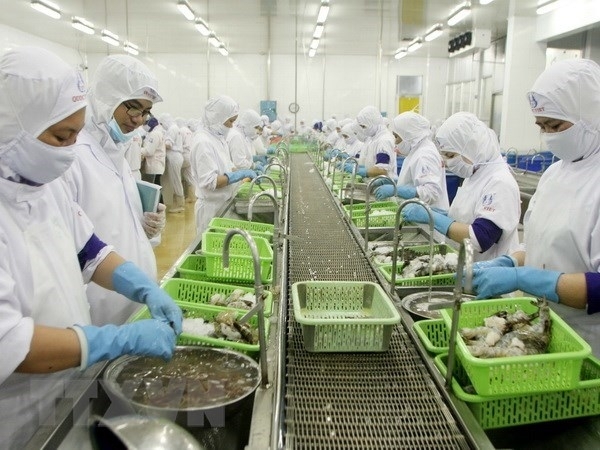 According to the provincial People’s Committee, from the beginning of this year, the locality’s export value surpassed US$810 million, mainly from the export of frozen shrimp, equal to 67.6 percent of the yearly target. In October alone, Ca Mau earned US$109 million from exports, representing a rise of 10.3 percent against that of the previous month. 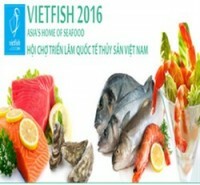 The Vietnam Association Seafood Exporters and Producers (VASEP) predicts bright prospects for export activities in the remaining months of this year. In addition, the price of shrimp materials has increased again, bringing about joy for shrimp farmers in the Mekong Delta province. From now until the end of this year, the province continues stepping up trade promotion, seeking and expanding export markets, and diversifying export markets, said Chairman of the local People’s Committee Nguyen Tien Hai. Enterprises have paid attention to reforming technologies and increase the productivity and quality of products to meet market demand and increase their competitiveness on both domestic and international markets. The People’s Committee will also carry out several policies to help enterprises deal with difficulties, while speeding up administrative reform to foster production development and increase export turnover, and encouraging farmers and enterprises to invest in brackish shrimp farming in potential areas. Hai asked local departments, sectors and localities to have strict management over farming areas, shrimp breeds and purchase, transportation, semi-processing and processing stages, and carry out measures to well address environmental pollution and diseases, so as to maintain the prestige, quality and brand name of Ca Mau’s shrimp.